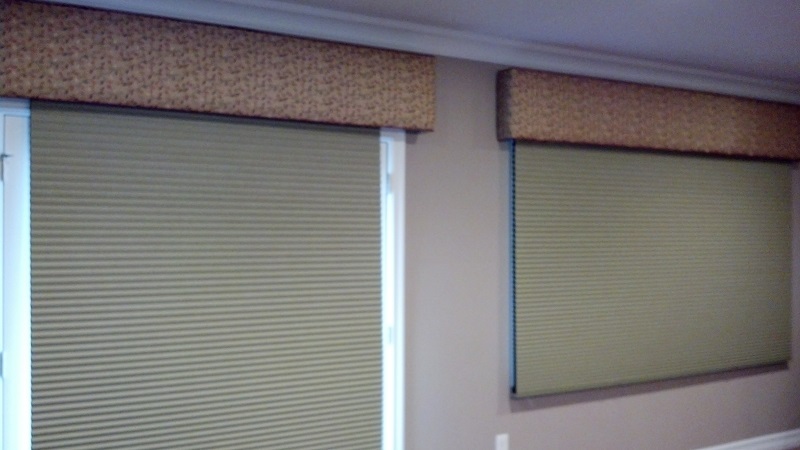 Honeycomb Shades example for Blinds and Shades - Sew What? Sew Anything! The two honeycomb shades in this home block the light from entering when the family wants to watch their favorite sports team or movie from a rear projection TV on a giant screen. These are room darkening shades from Kathy Ireland. To complete the design I covered a light weight cornice to soften the room. The shades are cordless and will contract and hide under the cornice.